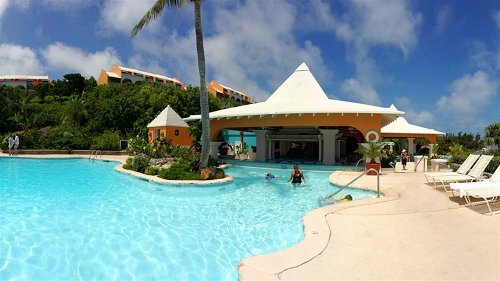 Looking for a great Bermuda all inclusive resort? We've found a few little gems that will definitely interest you. Grotto Bay is a family friendly Bermuda resort located at Bailey's Bay Hamilton, this is one of the only resorts you will find with it's own cave. Surrounded by the small islands of the bay, these cottages on a little over 20 acres provide something a little different and intriguing. 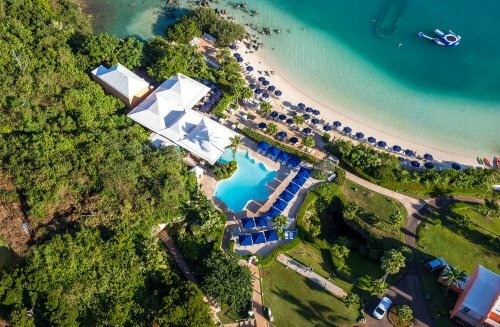 Although Grotto Bay has had some inclusive packages, it's the most like a full all inclusive Bermuda resort you are likely to find anywhere. Really the idea and the advantage of this type of package is you know the cost of your vacation before you go. The packages are achieved by simply adding an all inclusive tariff on top of your booking. At the time of writing the additional cost to upgrade was $109 per person a day for adults and for kids from 4 to 16 years the cost is $79. Apart from food and drinks there are a few extra activities around the resort which you can take advantage of. The hotel also has an inclusive supplement which includes all meals and brand drinks, Buffets, and Non- Motorized water sports, a transport pass and some activities. A whole host of Watersport activities are included in the all inclusive package , although you may require to have had some prior experience with some of these. Things like snorkel equipment, kayaks, paddle boards, sail boats and windsurfers really help you take advantage of the beautiful and pristine marine environment. Once paid the All Inclusive Package of course all meals which are buffet style. There are a few exceptions like the Tuesday and Friday nigh BBQ (Seasonal Changes). Drinks included are beers, house labeled beverages, glasses of wine and of course your non alcohol beverages. You will also have a transportation pass, to take buses and ferries around the island. The system works well and you can hop on and off to explore different beaches and attractions. Throw in the occasional managers rum swizzel, afternoon teas, cave swimming and you end up with a more than reasonable Bermuda all inclusive package vacation. 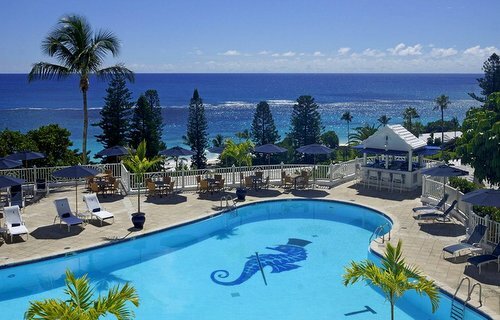 Overall this is the only all inclusive Bermuda resort you will find and a top rated resort in any case. Definitely worth consideration. 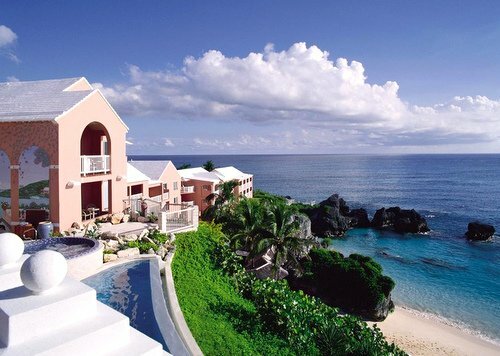 The Reefs Bermuda offer a couple of vacation packages. One example is a five night Romantic Package for couples and includes round trip airport transfer, welcome drinks , daily breakfast, afternoon tea and dinner, 60-minute spa massage for couple, and a beach dinning opportunity. Another great package is a scrumptious Ala Carte Package with options like a delicious six course beach dinner, $150 spa voucher, picnics, golf, an island cruise, scooters and many more. Packages at the Fairmont include a couples one with inclusions like a balcony room, transfers, welcome drink, couple massage for 60 minutes, a romantic meal and a $50 resort credit. Their Family Getaway Package for a family of four includes a discounted second room and under 12's can eat free (when this option is available in the quieter seasons). Teens get a 50 % discount. Kids Camp is also included in this package. They also have a good golf package available. 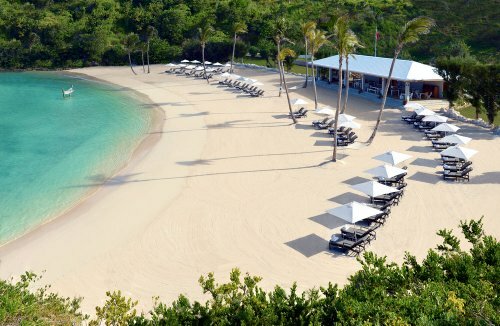 Take a look at the Top 25 Bermuda Resort Deals. Elbow Beach has Bermuda vacation packages for families with two children. They offer daily breakfast, aquarium passes, 50-minute massage for mom and dad, baby sitting, and a heavily discounted second room. 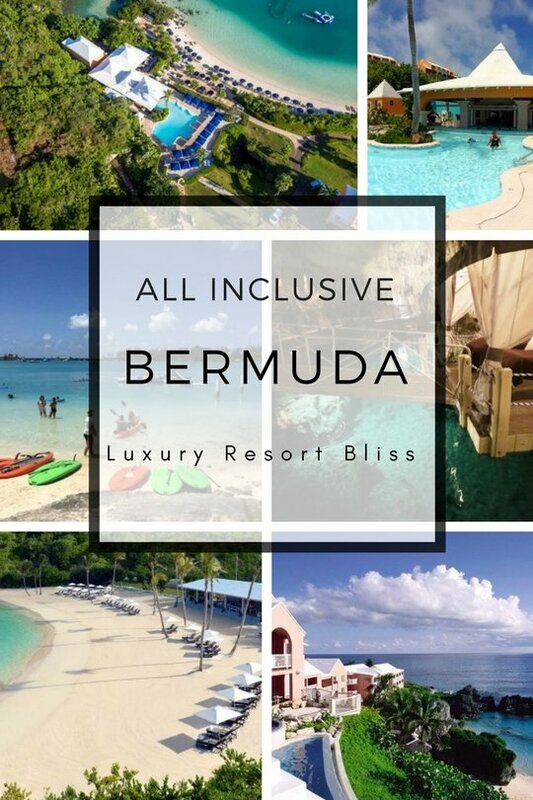 The Bermuda Bliss List is not all inclusive but the great resorts on the island. Most are great for families but be careful about which one you choose. Some are overpriced while others are great value. Sometimes it is not easy to find an all inclusive resort in Bermuda that consistently offer AI packages. Only the pool rates well. 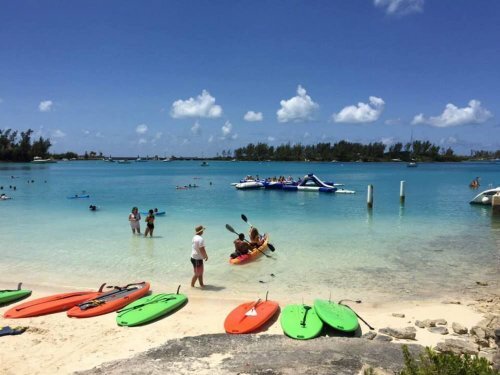 Cheap Bermuda vacation ideas including biking the old rail trail, Crystal Caves adventure, the best family beaches, family vacation cruise To Bermuda and deals. 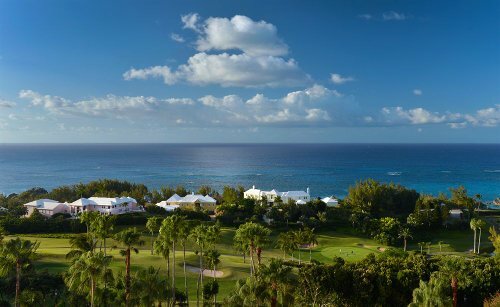 If you'd still like more in Bermuda, visit Bermuda Luxury Resorts or for more all inclusives, Caribbean All Inclusive Resorts. 9 Beaches Resort *** 84 Rooms at Sandy's beach. 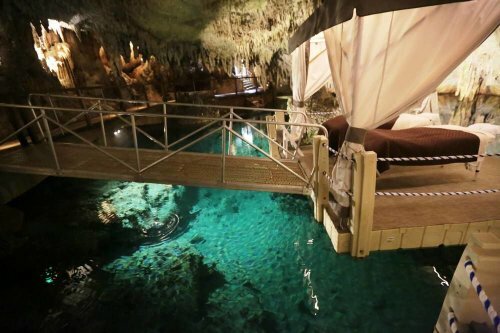 This is a "wonderful place to unwind, relax and totally forget."